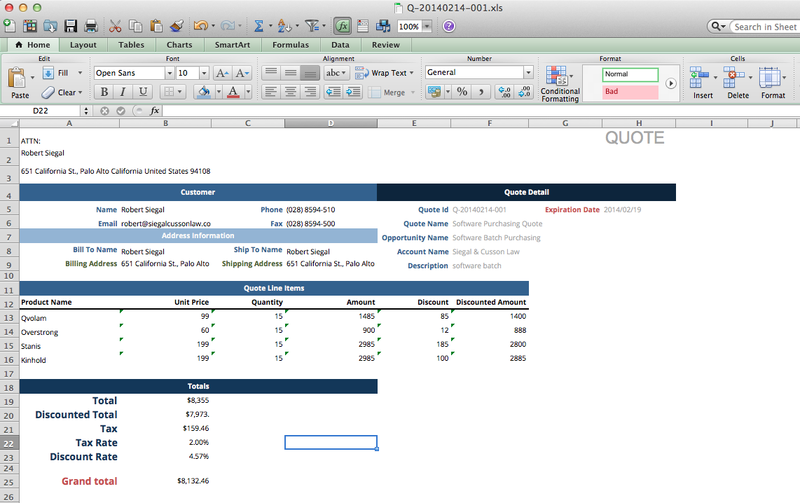 You can download reports of individual entries in a customized Excel or Word format in Ragic with the mail merge tool. Click Mail Merge under Tools in your listing page. You can download the template created by Ragic according to your form page design, by clicking the Download button next to Sample Template. where you want to add the field values. Note. If you have duplicated field names, and you want to mail merge the data from all these fields (those with same name), you will need to change them with different names, in order to let the system map the fields correctly while downloading your data by mail merge. In the example above, Microsoft Excel is used to edit the template, but basically any type of spreadsheet application would work as long as you are able to save your spreadsheet with .xlsx format. 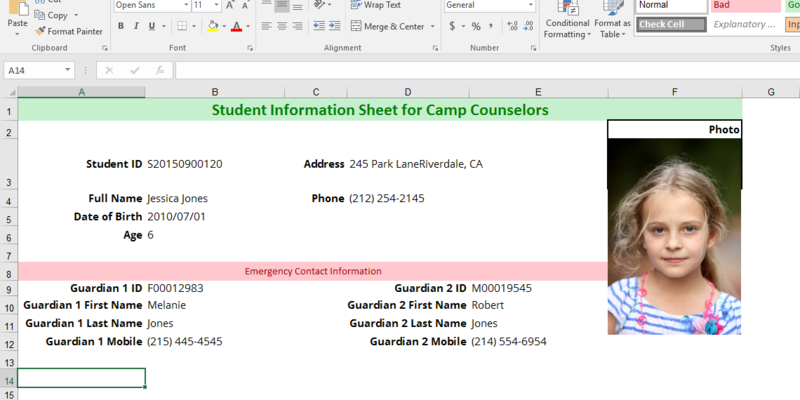 If you need a text document instead, you can create a template directly in a text editor application such as Microsoft Word. The field values would be formatted like the above. 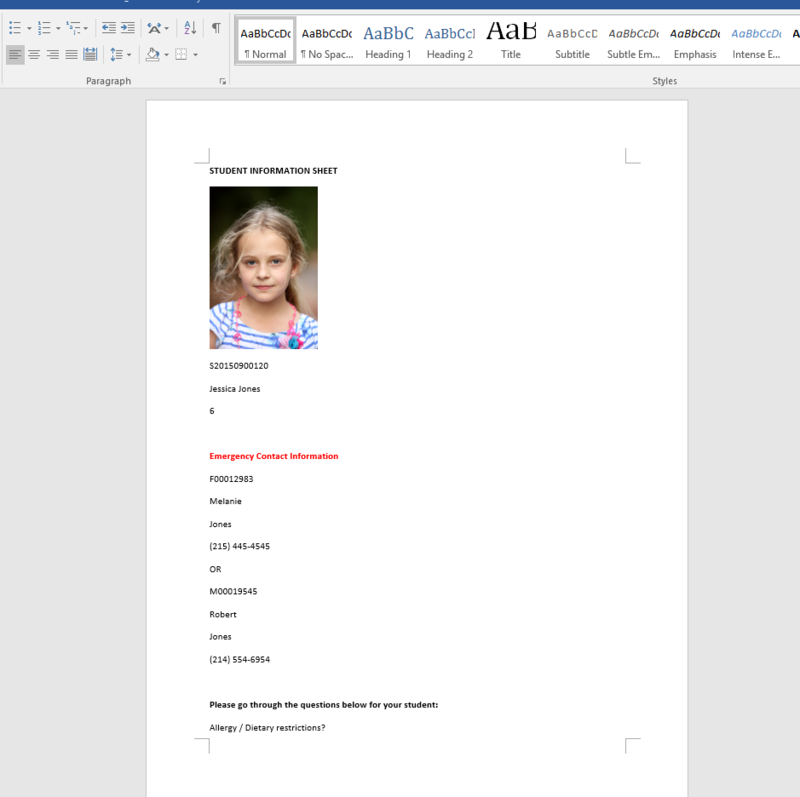 Save the text document with the .docx format. Please note that some elements like text boxes are not supported for variables yet. If you need to mail merge the subtable records, it's currently only supported with Excel. 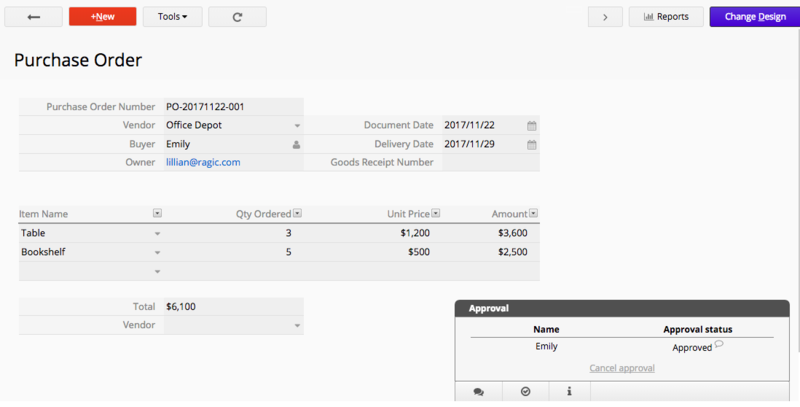 After you're done with designing your template, upload this report template to your sheet by clicking on Create a template on the mail merge configuration. You can name and save your uploaded template here (don't forget to click Upload to save). 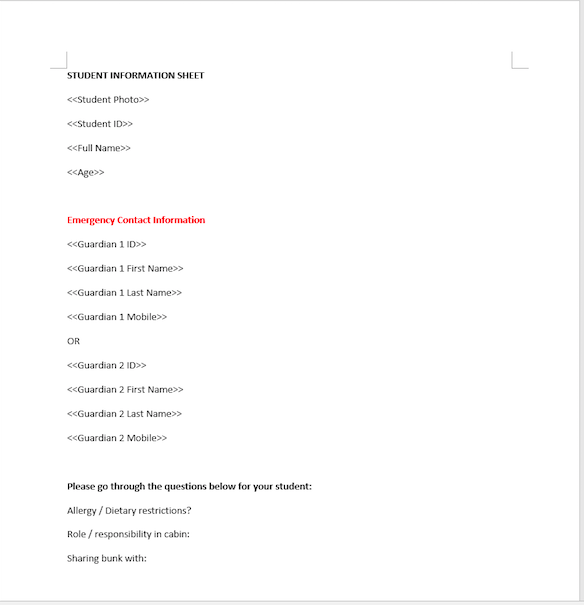 You can upload as many report templates as you want. Click the Mail Merge button next to your report name when you would like to generate reports from the data in your database. This will take you to an option that displays the number of entries you would like to download with the mail merge template applied. The reports will then be downloaded to your computer in a .zip file. If a filter is applied to your listing page, only the filtered records will be mail merged. The original format of the sample template document that you download from Ragic mainly contains the fields of the sheet and its subtable(s). 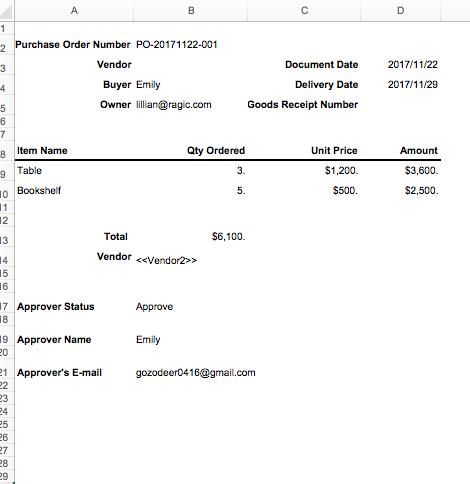 If this sheet is configured with an approval process, the approval process records that are shown on the bottom right side of your sheet within Ragic would not automatically appear in the sample template document. If you want to add the approval process records into your mail merge, you can manually add some instructions when you modify the template document. 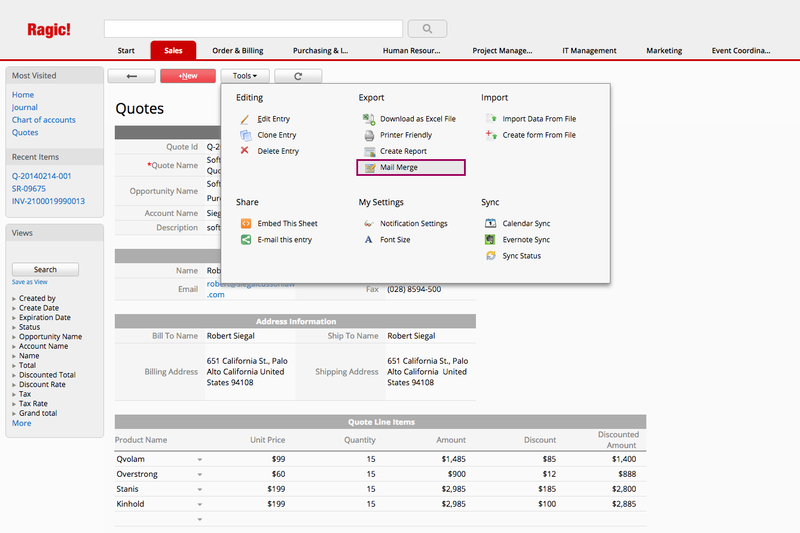 Afterwards, you can upload your customized template document in order to download reports formatted with your template that contain your approval process records. In this example we will show you how to create a mail merge template that will display approval process records on a mail merge. 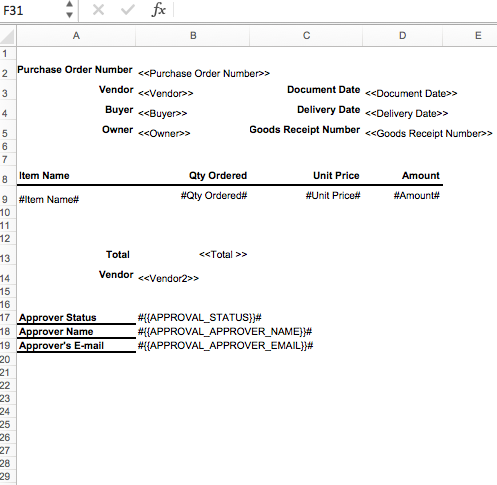 We manually add the fields with the necessary parameters for the approval process on this spreadsheet document. We add the Approval Status, the Approver’s Name, and the Approver’s E-mail address in this case. 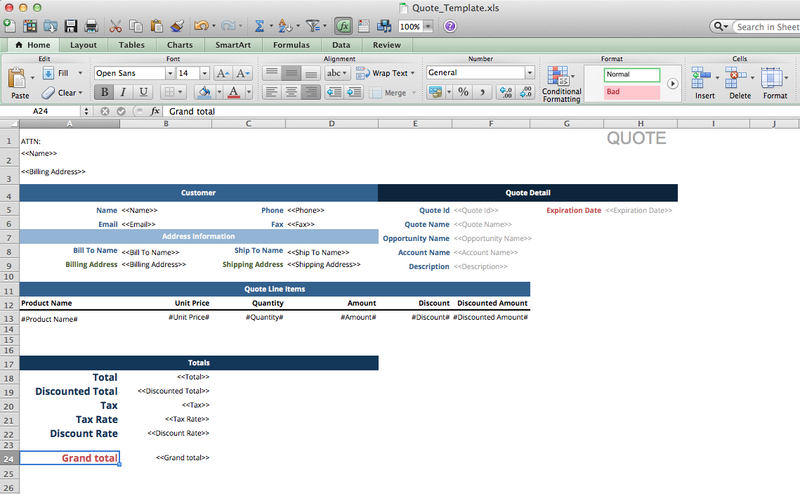 After uploading this document, we're done with configuring this as a new template. 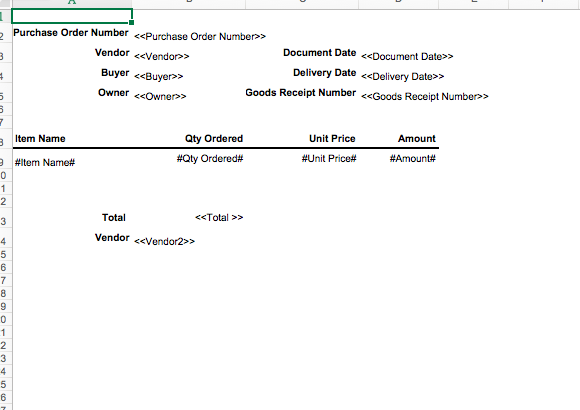 With this new template, we can now have records of the approval process when we export our data through mail merge. The value of a field. Case sensitive. If there is more than one field with the same field name, use <<FIELD ID>> instead.